Description:Just as the oligarchs are moving to consolidate their power in a new global governmental scheme based on the manmade climate change scare, their fraud has been exposed. The source code doesn’t lie, unlike the scientists who have perverted the good name of science in the pursuit of their political goals. 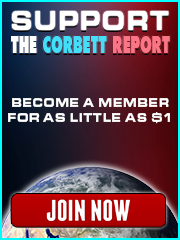 Join us this week on The Corbett Report as we ask you to help us in Operation: Arrest the Crimatologists. Documentation – A Message to the Environmental Movement…in Spanish! Documentation – A Message to the Environmental Movement – Darth Vader style! Description: The climate conference in Copenhagen is another step towards the global management of our planet. Description: What? You don’t think it’s actually going to end up going to the poor? Description: A fair (mostly) piece on the Climategate scandal from Russia Today. Description: My first article on the subject as the story was breaking. Description: Highlights some of the more interesting parts of the leaked CRU correspondence. Description: Data dump on the Climategate affair. Description: Master article with links to dozens of other articles and videos on the subject. Description: The code spills the beans. 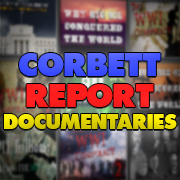 Description: Prescient video on the CRU released by The Corbett Report just weeks before the Climategate story broke. Description: Interview with historical climatologist about the climategate scandal. Description: Begley blows a gasket and becomes a broken record: peer-review, peer-review, peer-review. Description: That should read failed to report. Description: A BBC Weather presenter who was discussed by scientists in the “climategate” emails says he was forwarded the material more than five weeks before it was made public on the internet. Description: What will the ombudsman say? Description: I actually agree with Mobiot on that headline’s injunction.